Breakdown insurer the RAC is writing to customers after the city watchdog found it had failed to follow new rules on price transparency a full year after they were introduced. The Financial Conduct Authority found that the insurer was providing renewal notices that did not comply with the regulations, including failing to disclose the previous year’s premium in a prominent way. Which? 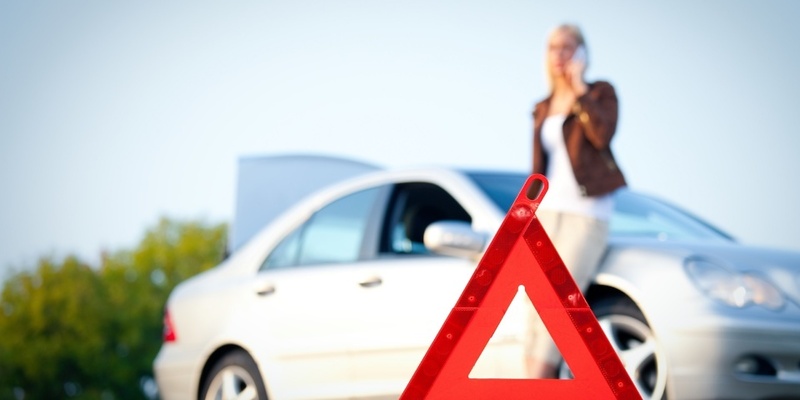 explains how RAC customers are affected and what the new rules oblige insurers to disclose. In April last year, following a Which? campaign calling on insurers to give clearer information to their customers at renewal, the FCA brought in rules compelling insurers to be more transparent. Most insurers have successfully adjusted to the new regime, giving customers a better chance to find the best deal. Yet 12 months later, the RAC (which also sells car and home insurance) is the latest firm the FCA has criticised for falling short. The FCA found the RAC was failing to display the previous and current year’s premiums, as well as a message encouraging customers to shop around, as key information in renewal offers. The RAC is writing to the affected breakdown insurance customers to clarify any unclear information they’ve been provided. Any customers who received renewal notices in the past year could be among those affected. An RAC spokesperson said: ‘While our breakdown policy renewal documentation did accurately contain all the necessary information, we recognise that some of the key information in our letters was not as prominently displayed as it should have been. Last June, Admiral was named for providing inaccurate information to some of its customers about what they’d paid previously – giving misleading impressions of how their yearly premiums had changed. Failing to properly identify all customers who needed renewal information either because of system error or misunderstanding the rules. Snapshot Which? research in December 2017 also uncovered several insurers (Admiral, Aviva, John Lewis and Rias) actively preventing existing customers from finding out what they would have been charged as a new customer. While this doesn’t breach the FCA’s rules, it does deprive renewing customers of highly useful information – namely, discounts offered to new customers – that could help them haggle for the best price. What do the FCA rules require? Identifying customers who have repeatedly renewed four or more consecutive times, and including additional messages to encourage shopping around. Where you believe that your insurer has not provided you with the right information, you should make a complaint directly to them. If it’s not resolved, you can complain to the Financial Ombudsman Service. Find out more in our guide to lodging a FOS complaint. Whether it’s car or home insurance, or your breakdown cover, a little legwork at renewal time to find the best deal could be worth hundreds of pounds. Insurers will often hike the price for existing customers whose policies are up for renewal, meaning you may end up paying a ‘loyalty premium’. Below are our top tips for getting a better deal. According to market data from the AA, average car insurance premiums increased by around 2% over 2017, and combined home insurance policies by 5%. Before renewing with your insurer, check how their offer differs from what was on the table twelve months ago. Insurers are competing for your business, and many will offer discounts during the first year to induce customers to switch to them. Look on a few comparison sites to see what sorts of prices are being offered to you as a new customer for cover that you’re happy with. What’s in the shopping basket? It can be easy to pick up extra add-ons that aren’t necessarily of practical value to you, but inflate the price. For instance, you may not need bicycle cover or cover for driving overseas. Around £35 for a slightly irritating conversation with a breakdown cover call handler; £40 for your time debating a home insurance premium; £50 for a chinwag with a car insurance adviser: these are average annual savings people achieve through haggling. If you don’t know where to start, check our full guide on how to do it.